During the past 25 years, the Boys & Girls Club of Kenosha (BGCK) has grown from serving fewer than 200 kids at a drop-in site in the Wilson Heights neighborhood, to a growing organization serving slightly more than 12,000 youth members (each year) through its afterschool programs and recreational sports activities. Boys & Girls Clubs have been serving children across the United States since the early 1900’s. The Kenosha organization started in 1992 with 198 youth members – meeting in the basement of the Memorial United Methodist Church. In December of that same year, the BGCK Board of Directors was able to purchase the church and create a permanent home for BGCK at 3712 50th Street. The annual budget, at that time, was a mere $150,000 and there was one paid employee. Over the next eight years, the Club focused on expansion and growth, with the ultimate goal of impacting more lives in Kenosha. The Club expanded programs into eight after school sites and increased enrollment numbers at its 50th Street church location. During its many years of service, membership in Boys & Girls Club sports programs has also grown from modest beginnings to nearly 3,600 youth participating in sports on an annual basis. The 2001 merger of the Boys & Girls Club and CYC Sports certainly impacted this growth. This merger created an all-encompassing network of services for Kenosha’s youth. At that time however, the Boys & Girls Club’s after school programs and the Boys & Girls Club/CYC sports programs operated out of different facilities. Through an extensive capital campaign starting in 2008, the growing Club raised $10 million dollars that resulted in the construction of an all-encompassing 80,000 square foot Boys & Girls Club facility in Kenosha- the largest standalone Boys & Girls Club in the nation at that time. This Club is one of the most unique facilities in the country, featuring a Youth and a Teen Center, a Fieldhouse and the only indoor Soccer Stadium in the County. The newly renovated Boys & Girls Club opened in 2011, serving as a home for Boys & Girls Club youth and as a community center with various programs offered. 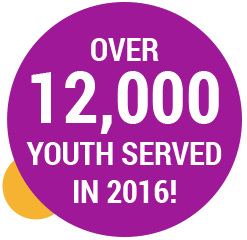 Housed in one ideal location, the BGCK has grown tremendously with a current operating budget of over $2.5 million that employs 18 full-time staff members, serving over 12,000 youth in 2016. Although the Club has grown a tremendous amount over the past 25 years, the Club’s mission remains the same. Club CEO, Jake McGhee, stresses that the Boys & Girls Club is looking to continue to positively impact the largest possible number of youth in our community. BGCK wants to especially target those who need us the most, in order to reach their full potential as productive, caring, responsible citizens. Over the past 25 years, the Club has done just that. 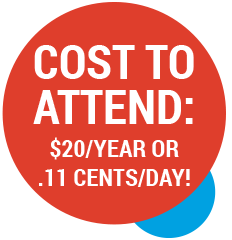 Kenosha area boys and girls between the ages of 6 and 18 can come to the club Monday through Friday, after school, for just $20 per year or $.11 cents per school day! 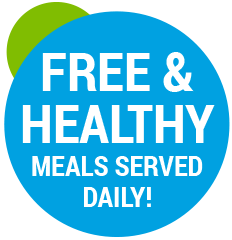 They benefit from homework help, mentorship, enrichment programs, exercise and a free healthy meal each day – all in a safe and positive environment. In order to continue the success of the past year, the BGCK is launching the “$25 for 25 more years” campaign, with proceeds from the fundraiser going to support the expansion of free transportation to three additional elementary schools during the 2017-2018 school year. Those interested in making a donation can click here to support 25 years of the BGCK and to help draw more youth into the Club. Presenting the silver anniversary sponsorship are the Natalie and Dennis Troha Family, CJW Inc., Kenosha News and Rust-Oleum. To celebrate the 25th anniversary, the BGCK will host the 25th Anniversary Gala at Uline Corporate Headquarters on Saturday, September 23, 2017. The event will feature an appearance from the only five-time Heavyweight Champion of the world, Evander Holyfield, Jim Clark, President of Boys & Girls Clubs of America, and BGCK youth members who will showcase their many talents. For ticket or 25th Anniversary sponsorship opportunities, please contact Jake McGhee at jmcghee@bgckenosha.org. June 15, 2017 marks the actual 25th anniversary of the BGCK and the Boys & Girls Club of Kenosha will host the first annual BGCK Birthday Bash. A city-wide youth Kickball tournament and a corporate Dodgeball tournament will be hosted and presented by the BGCK, Jockey Being Family and the Kenosha News. Live music, food & beverage, and yard games will be offered to guests as the Club celebrates 25 great years in Kenosha. Youth activities will take place during the day and the corporate Dodgeball tournament and other festivities will take place during the evening. The Dodgeball Tournament begins at 5:30 pm. The cost is $150 per team (6-10 players) and includes tournament entry, sandwich and beverage (beer, soda or water). Participants may register at www.bgcsports.org or in-person at the Boys & Girls Club (1330 52nd St.). For more information, please contact Jake McGhee at jmcghee@bgckenosha.org. The BGCK’s 25th Anniversary celebration is presented by the Natalie and Dennis Troha Family, CJW Inc., Aurora Health Care and the Kenosha News. BGCK is a youth guidance organization dedicated to promoting health, social, educational, vocational, cultural, character and leadership development. For more information on becoming involved with the 25th Anniversary celebration activities, please contact BGCK CEO, Jake McGhee at jmcghee@bgckenosha.org. Our success is because of community partners just like you!